HOLLYWOOD, Fla. — A sixteen-year-old Christian Florida teen is making headlines after she graduated high school and college in the same week. Grace Bush of Hollywood recently received her bachelor’s degree in criminal justice with a 3.8 GPA, one week before she graduated from high school. She now plans to pursue her master’s degree and work toward enrolling in law school. Bush was homeschooled until age 13, when she began taking classes at Broward College. Her parents, Gisla and Bobby Bush, stated that they discussed schooling years ago as Gisla worried how the couple could afford to send their children—now nine of them—to college. The Bush’s soon discovered that Florida Atlantic University High School (FAU) in Boca Raton offers dual enrollment programs for high-performing students, so that they might earn college credit at Florida Atlantic University while attending high school. Most students obtain three years credit, but because Bush already had a head start at Broward, she was able to complete her high school and college studies simultaneously. 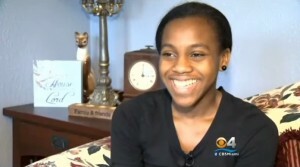 Bush is following in the footsteps of her older sisters Gisla and Gabrielle, who likewise enrolled in the FAU program. Her other siblings are being homeschooled. Bush’s mother, Gisla, says that Grace has always been a fast learner. During her high school years, Bush also engaged in extra-curricular activities, such as playing the flute for the Miami Music Project orchestra and the South Florida Youth Symphony. But she said she never attended any school events, such as dances or sporting events. “I missed out on being a kid, goofing off and wasting time,” Bush stated. Bush’s parents have not paid a penny in tuition fees to date, saving tens of thousands of dollars in education expenses.